So the Percy Pig sweets from Marks and Spencers now do toys... need I say anymore?! 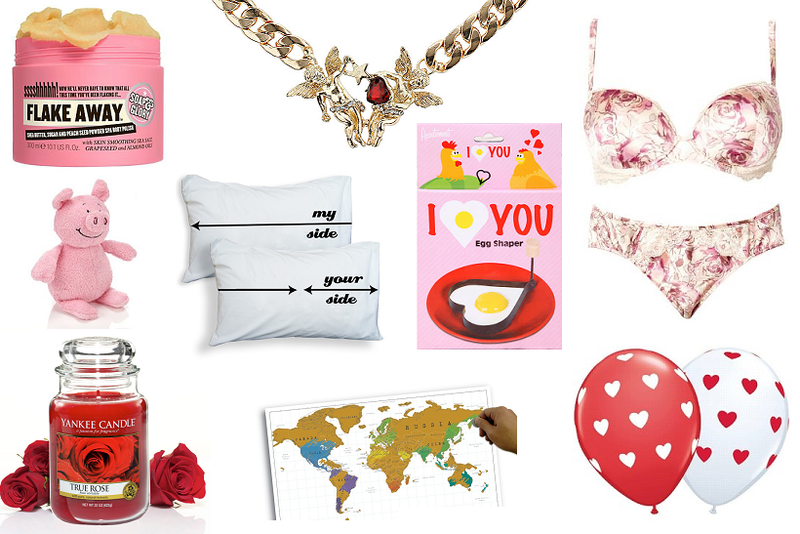 Imagine how cute breakfast in bed would be if your fry up had a heart shaped egg on the side! Yankee Candles smell absolutely gorgeous! Why not use Valentine's Day as an excuse to invest in a new one?! I hope I've managed to give you a few ideas! Great post! I love valentines :) Even if it makes me skint! Love the soap and glory flake away! :) and the bra is lovely! Aw, I love the idea of the scratch map so cute! Dani I absolutely love those pillows! :) According to Kane, I'm always hogging the bed (and the duvet, haha) :P oops! And I was just wondering if that Soap and Glory stuff is okay for sensitive legs? Great gift ideas! Love the Percy pig toy, super cute!! ah I have to get those my side/ your side pillow cases, so cute! the pillows are so cute !! I've asked for a yankee candle - I do hope I get one! They smell sooo nice! !